The Ancient Priests of Evil grant MUMM-RA the restoration of his powers. Transformed into the Ever-Living, MUMM-RA witnesses the arrival of SNARFER’s Spaceship on Third Earth. 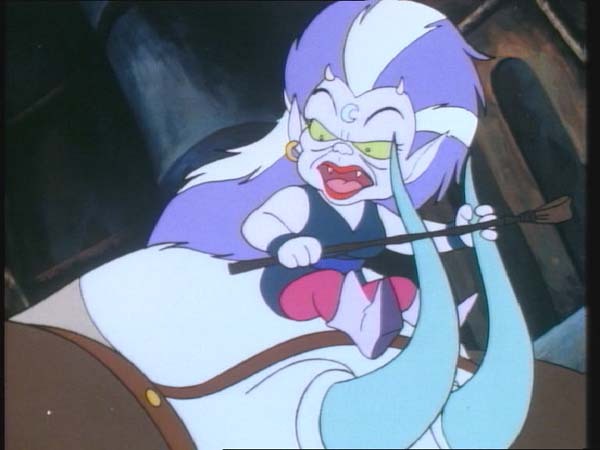 With SNARFER’s ship off course, the LUNA-TAKS lock onto the ship and once it lands, capture SNARFER. 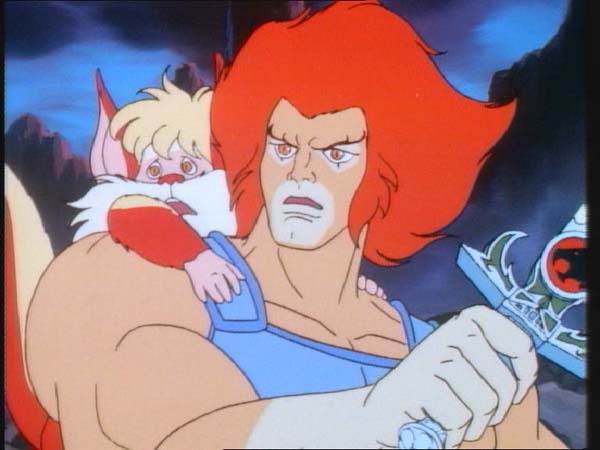 The ThunderCats take the ThunderStrike to rescue SNARFER from the LUNA-TAKS. 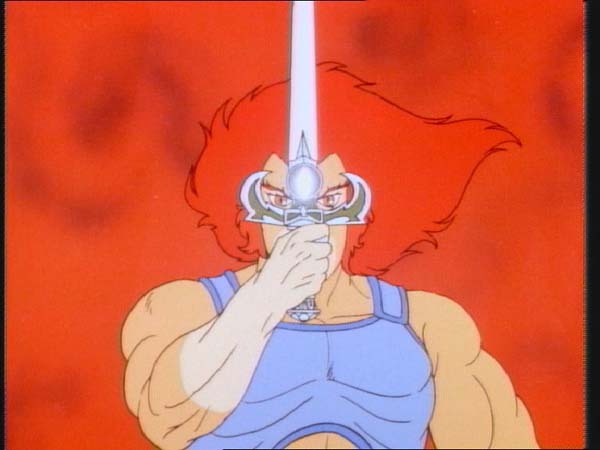 LION-O uses the Sword to give him sight beyond sight and locates SNARFER imprisoned in a frozen state by CHILLA. Summoning the other ThunderCats, LION-O attacks CHILLA and along with the other ThunderCats, succeeds in rescuing SNARFER. 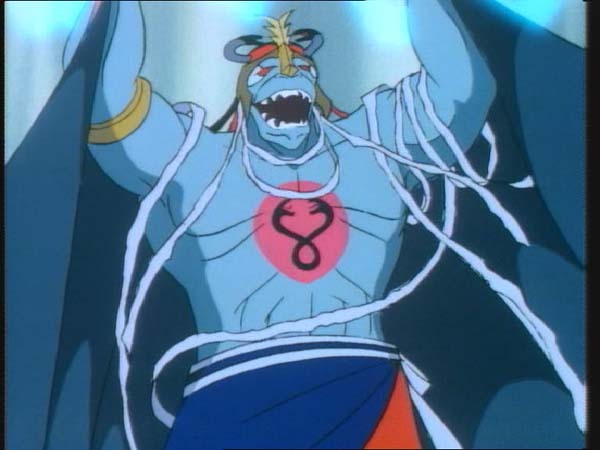 Witnessing the LUNA-TAKS defeat once again, MUMM-RA concludes that he must destroy the ThunderCats himself. Snarfer finds himself in the midst of adversity and is able to cope effectively. First he is endangered by a malfunction in his spaceship. Then he is pursued by the Luna-Taks on Darkside. But Snarfer uses his optimism and his sense of self affirmation to counter his fears. Thinking positively, he carries on conversations with himself in which he convinces himself of the proper plan of action and finds the courage to carry it through. 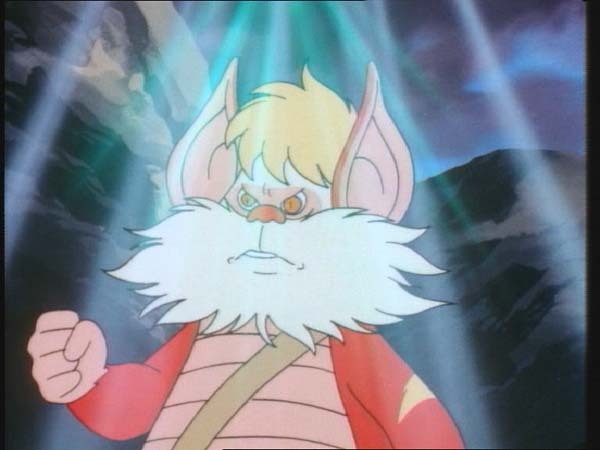 Using the techniques of self-instruction and self-monitoring, Snarfer manages to prevent his spaceship from burning up, and later he contributes to confounding the Luna-Taks and helping his own rescue by the ThunderCats. Self-monitoring and self-instruction are important means whereby we can learn control and regulate our behavior. When faced with an imposing task, it helps our concentration to talk internally to ourselves and ‘coach’ ourselves with helpful positive statements, like “I can do it” or “I’ve done things like this before.” When facing a task in which we will have many distractions, we can say, “I’m not going to look away,” or “I’m going to pay attention to what I’m doing.” By monitoring and instructing ourselves, we help our ability to perform tasks successfully and to control unwanted behavior. The origins of the term “sidekick” can be traced as far back as the early 19th century. In literary history, sidekicks have often been invented and employed by writers for a multitude of purposes. Serving as a companion to the main protagonist, the sidekick often helps the hero escape difficult situations, assists to bring the hero’s plan to fruition, or even imparts some wisdom to the hero. However, the most common role filled by a sidekick is to serve as a comic relief. Injecting humor into a tense situation is a task that sidekicks have performed since Shakespearan times. While always popular with the audience, sidekicks generally cannot succeed when they are given the entire spotlight. It is only the very brave or the very naïve writer who would risk elevating the sidekick to the hero’s status and giving the companion more screen-time. 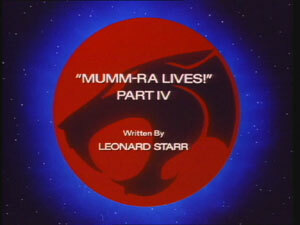 Writer Leonard Starr does just that in the fourth installment in his “Mumm-Ra Lives!” pentalogy by giving the ThunderCats’ sidekick Snarfer the lion’s share of exposure. The episode opens with a shot of Mumm-Ra’s pyramid where the malevolent mummy calls forth the Ancient Spirits of Evil. The Spirits respond and the four giant statues in Mumm-Ra’s chamber come to life and endow their power onto Mumm-Ra. This is the first time in the series that the Ancient Spirits of Evil have done so and the scene of them rotating around Mumm-Ra as they nourish him with their evil energy is both scary and awe-inspiring. With his batteries fully charged, Mumm-Ra moves to his cauldron where he observes Snarfer’s spaceship nearing Third Earth. 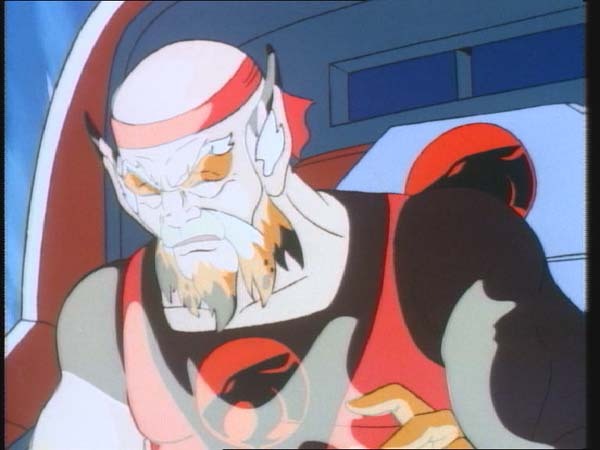 The ThunderCats are communicating with Snarfer from the Tower of Omens when a malfunction causes his ship to veer off course and crash into Dark Side. 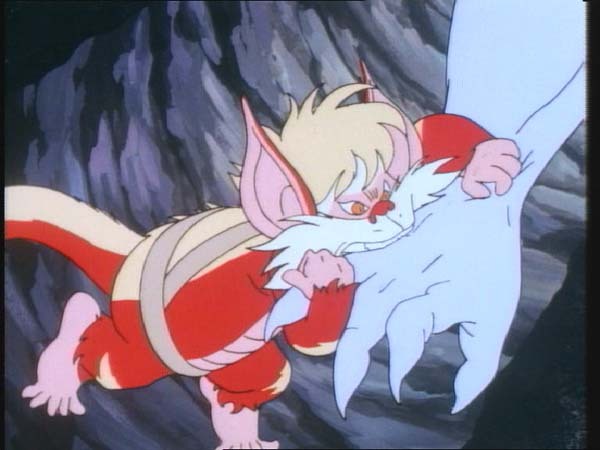 Unfortunately for the little fellow, the Lunataks were also monitoring Snarfer’s ship and head out to capture him. 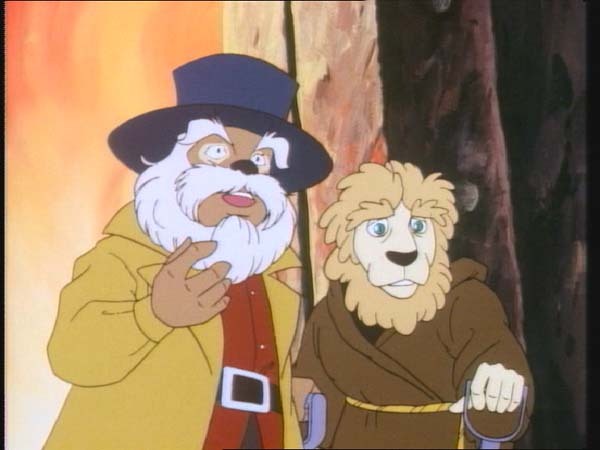 Lion-O, Snarf, and the three new ThunderCats arrive in the nick of time to rescue Snarfer. After a brief run-in with the Lunataks, for once it is the brave heroes who beat a hasty retreat. This turns out to be a wise decision seeing as they didn’t have a cat in hell’s chance of defeating the bigger force of Lunataks on their own home turf! The viewers are again given a glimpse of the Lunataks powers and here it is Red Eye’s super vision and Chilla’s icy breath that are highlighted. Interestingly, Red Eye is presented as being somewhat of a foil to Lynx-O. While the ThunderCat has no sight, Red Eye possesses enhanced vision, capable of seeing in many spectra. The Lunatak has such heightened optical acuity that he can visualize even the signals emanating from Lynx-O’s Braille Board. 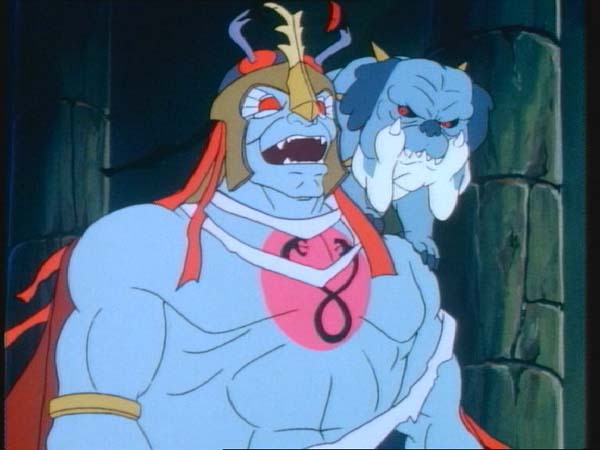 The episode turns out to be a rather disappointing one as the titular character Mumm-Ra only appears briefly in it. 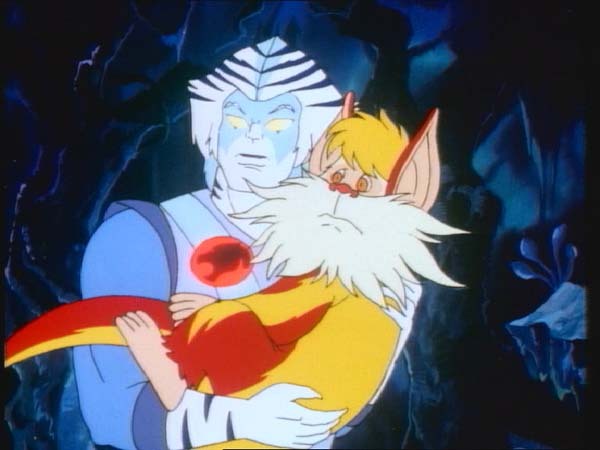 Starr teases the audience by returning Mumm-Ra to his ever-living glory in the very beginning of the episode but leaves their expectations hanging when he does not present the villain again until the very end. 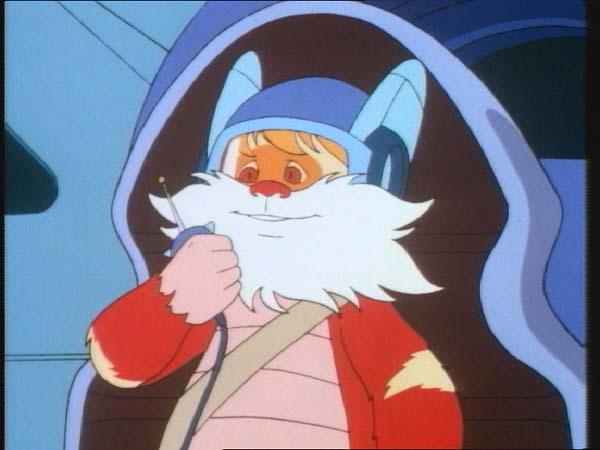 This is essentially Snarfer’s episode and those who are not die-hard fans of the youngest ThunderCat will be unimpressed by it. The enslaved Wollo and Bolkin who escaped from the clutches of the Lunataks in “Mumm-Ra Lives! Part II”, strangely and inexplicably appear back in the Lunataks captivity. 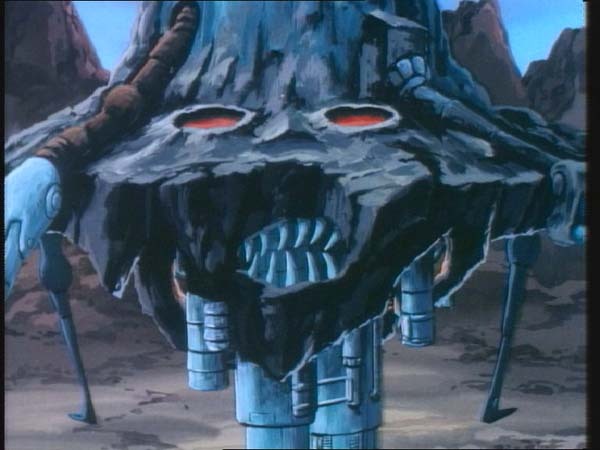 The Giant Beehive that Snarfer encounters while escaping from the Lunataks also appeared in the episode “Divide and Conquer”. This is the first episode in which we see Snarfer’s spaceship.